HK G3 20 RD 308 Magazine Surplus Aluminum Magazine. Excellent to Like NEW condition. 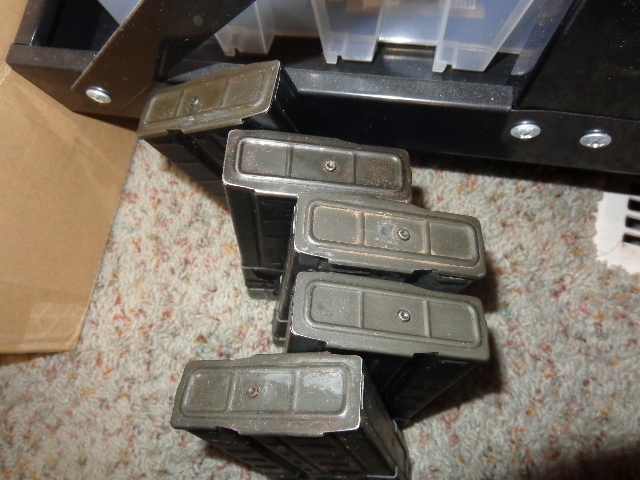 HK G3 20 RD 308 Magazine Surplus used Grade 1 Aluminum.This item consists of one magazine. The photos are examples of what they will look like.. Shipping is cheaper when buying bulk packs. Surplus used in excellent to like new condition overall. These mags are date stamped from the 1960's to the 1980's.. These are the best ones I have that are not in any packaging. These are in excellent to like New Condition.. 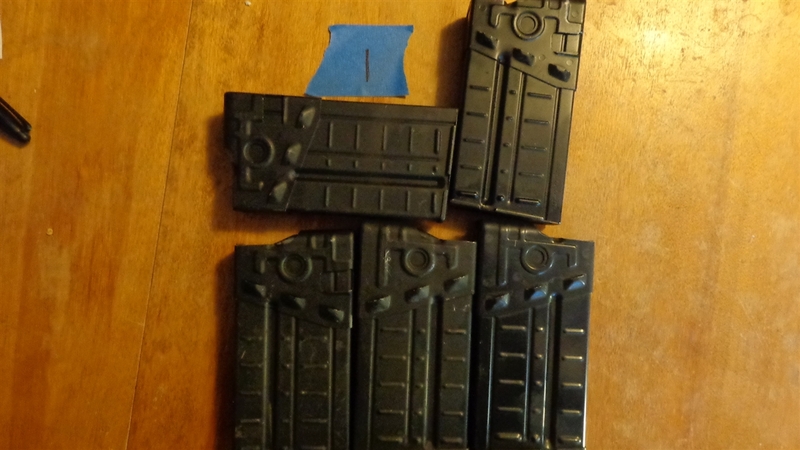 Please remember, these mags are 30-50 years old made from the 1960's to the 1980's, have different country codes,and finishes, shades of color. Since they have been in storage for 30-50 years, the metal parts can have rust. Most of these look like they haven't seen much use or may be unissued. 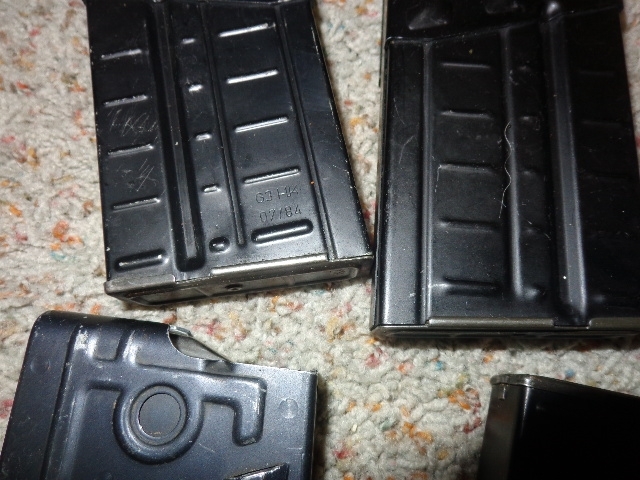 These are Military Surplus Excellent quality mags. The origins of these vary. They are all date stamped year made. years made vary. 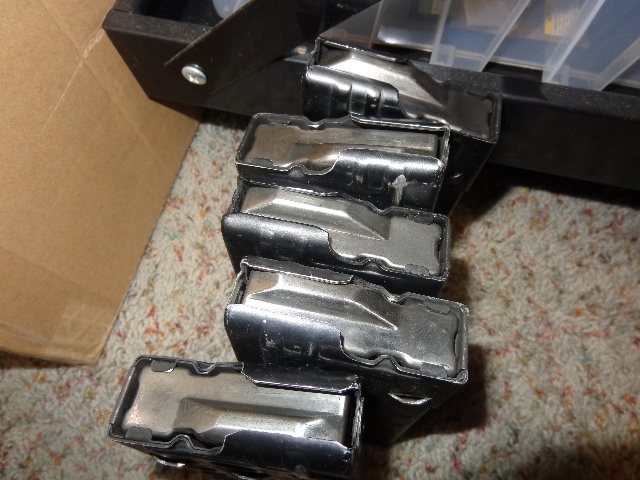 These mags have been stored loose in boxes for years, so there will be some handling marks, small nics and scratches. I look at them when I fill the order,and if they show significant wear, or rust, and dont look excellent to like new, I sort them into another box and grade them accordingly. Some of these have small dings from the way they were stored and handled over the years. Grade 1: All magazines are surplus magazines rated in excellent to un-issued condition. Light marks may be present from quality check lock-up tests, but the feed lip shows virtually no wear. Magazines will be free of rust and 100% functional. Original packaging may be included. May have handling marks, may have minor scratches, nics, dings, dents, maybe a little rust. They will mostly be very minor. If they are noticeable and many, then they are graded grade 2. Grade 2: Magazines are in good to very good condition. Light signs of wear and small amounts of surface rust may be present. Magazine finish may be worn or discolored, but magazine still maintains 100% of original functionality. this means firearm was likely issued used and will show signs it has been used. Grade 2 items, if they are metal can have some rust. Its jsut the way it is. If its significant, bad and I see it, I grade it grade 3. Grade 3: Grade 3 Magazines will show more signs of use than grade 2. More dents dings, nices, scratches, maybe rust. Magazines are fully functional though they show signs of heavy use. Surface rust or dirt may be present on floor plates, followers or body. Springs may be worn or rusty and several areas will have finish imperfections or dents. Effort may be necessary to upgrade the magazines condition. 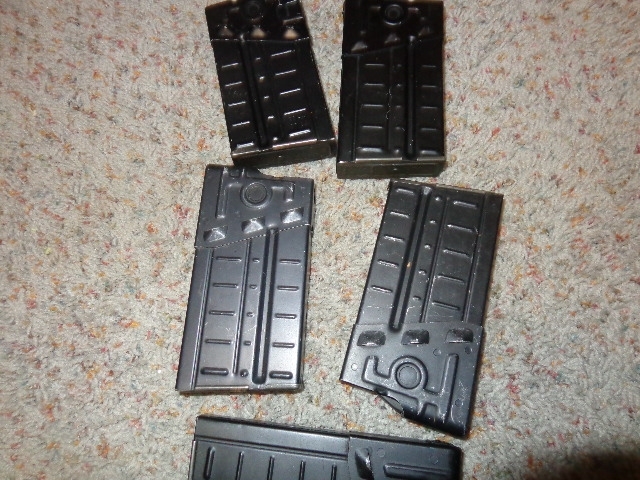 I bought 4 for my c308. Awesome condition, date stamped. Purchased 10 of these, they arrived the same week ordered and are just as described. I really value that the magazines are as described and with prompt shipping, I ordered 20 more today ! Bought 10 of these and they shipped same day. Didn't get a tracking number so I emailed them and they sent me a tracking number. Can't wait to get them in.